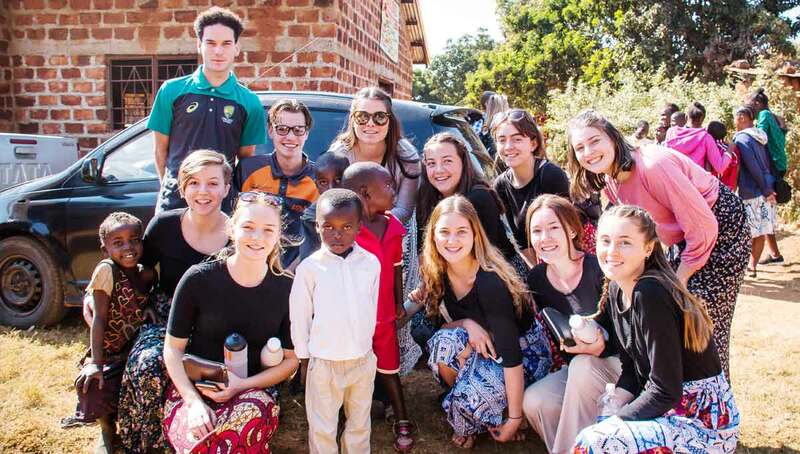 At the end of last term, 18 students and four staff embarked on the 2018 Zambia Impact Tour. We left Perth International Airport at 11:40pm and travelled to Johannesburg – South Africa. We had a stopover for a few hours, then travelled to Ndola – Zambia. One of our students had her birthday while on the trip. It was the longest birthday in history because there is a six-hour time difference between Australia and Africa. Morgan’s birthday went for 30 hours! We arrived at our accommodation and settled in. On our first day at Light Up Ahead School we were greeted by all of the students in the form of an assembly. They sang and danced, welcoming us. Then we gifted all of the Year 6 students with backpacks that were filled with school supplies, some of which were donated by Office Max. Over the next couple of days, our students worked with, played with, and learned with the students from Light Up Ahead. We visited the village that the Light Up Ahead students come from. This was confronting for some of the team as they realised how little many of these people have. While in the village, we met Sarah. She is a parent of some of the students from the school. She has had a very hard life. About five years ago, Mr Hockley bought her a mattress. When the students went into her house and saw it, they were quite shocked as there was very little left of it. We decided as a team to put some money together to buy her a new mattress. I (Mrs Coleman) was pleasantly surprised at the generosity of the team as we ended up having enough money to not only buy a mattress but also blankets and a bag of Mealie Meal (to make Nshema) to feed her family. There was also a small amount of money left over which was given to her to purchase a lock for her house. We visited the Zambian trade fair and a couple of different churches over the course of the trip. After working in the school for a week, we left Ndola and travelled to Livingstone. While in Livingstone, we went on a river cruise and visited Victoria Falls and also travelled to Botswana for the day where we did a river safari, and a jeep safari.